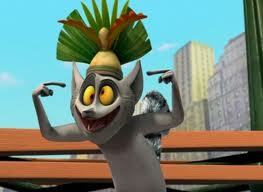 King Julien. . Wallpaper and background images in the पेंग्विन्स ऑफ मॅडगास्कर club.